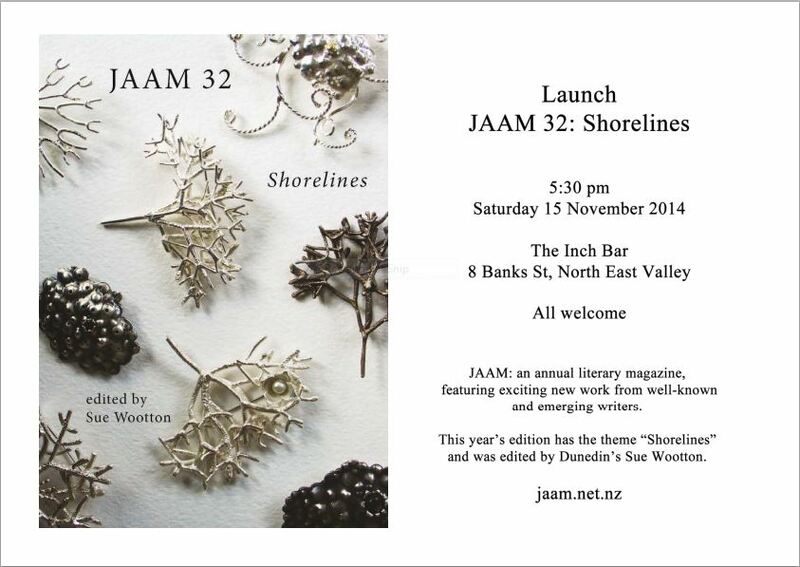 At the very same time that JAAM 32: Shorelines will be launched at the JAAM Jam in Wellington (well, actually starting half an hour earlier) Dunedinites will be launching it in their fair city. 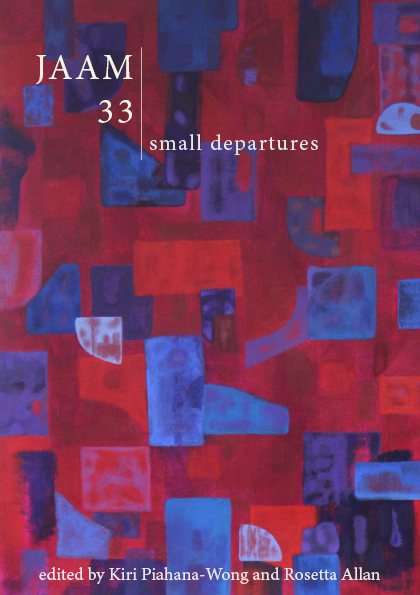 Guest editor Sue Wootton and several of the fine contributors hail from Dunedin, so it’s appropriate they’ll launching it there too. If you’re down that way and want to head along, as it says below, it’s on Saturday 15 November at 5.30, at The Inch Bar, 8 Banks Street, North East Valley. This entry was posted on Thursday, November 6th, 2014 at 9:37 pm	and posted in Uncategorized. You can follow any responses to this entry through the RSS 2.0 feed.